“Slap it, baby, slap it!” The captain turns the ship around to optimize views and turns off the motor. Two whales create breach-and-dive theater for 28 minutes, with squeals from passengers almost as loud as the barking sea lions witnessed yesterday. There’s no need to take separate excursions. This entire nine-day cruise serves as a wildlife watching and glacier viewing expedition. No schedule prevents us from staying for as long as the whales continue their performance, and the size of our ship is conducive to discovering wildlife in places that larger ships can’t access. The chef will adjust. Dinner will be delayed tonight to accommodate this unscheduled pre-dinner show. 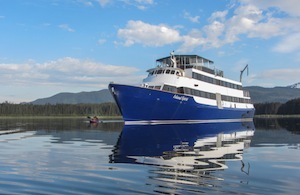 The Island Spirit, a 128-foot vessel accommodating up to 32 guests in 17 staterooms, sails Alaska’s inside passage between Juneau and Sitka. Every cabin has large picture windows next to the bed, just above the water. They open for a nice breeze and to encourage leaning out for amazing pictures. In summer here, photography “magic hour” goes on for most of the night. The view changes constantly as the light evolves. No scenery is missed. The ship anchors at night and power is run by battery while we sleep in silence. Cruisers awaken many mornings to still water reflecting moss-colored rocks and snow-capped mountain peaks. On these mornings, kayaks are available for anyone wanting to get closer to the eagles diving for their fish breakfasts, to check out gushing waterfalls, or to experience the serenity of these remote bays. The cruise includes time in Juneau, Skagway, Haines, Hoonah, and Sitka. Captain Jeff adjusts our itinerary daily to take us where the wildlife is, where large cruise ship crowds are not, and where weather and tides are best. There’s a nice balance between structured shore excursions and free time to explore towns, shop, or just relax. Hiking Skagway’s Chilkoot Trail, which led miners to the Yukon Gold Fields in 1898, visiting the totem pole carvers at the Alaska Indian Arts Center in Haines, and touring Glacier Bay National Park’s Marjorie Glacier and the Russian Orthodox Church and the Raptor Center in Sitka are just a few of the excursions included. On board, there are movies, games, new friends to enjoy, and continuous, gorgeous views. The view from the elliptical exercise machine on the top deck makes getting in shape exhilarating. On-ship meals, wine with dinner, naturalist presentations, kayaking, and pontoon rides are all included. The small group feels like family after just a few days. Complimentary happy hour is a forum to share favorite daily experiences and to learn more about the diverse group that’s taken a sabbatical from day-to-day life to be immersed in southeast Alaska for these nine days. The naturalist doubling as a bartender helpfully answers questions about the flora and fauna experienced each day. This is not your typical cruise. There’s no casino, swimming pool, or water slide, nor are there crowds of people wherever you go. In fact, the opposite is often the case. 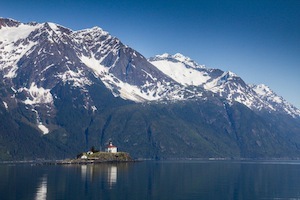 This is comfortable intimacy combining views of stunning mountains, glimpses of wildlife without the use of a telescope, and a feel for Alaska from a sea level vantage point. Cruise dates and itineraries: The Island Spirit cruises from early May through mid-September. 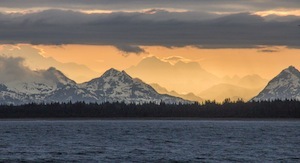 Guests can join Captain Jeff from Seattle to Juneau when he brings the ship to Alaska, or from Juneau to Seattle when he returns at the end of the season. Book early to secure desired 2014 dates. Cruising the Rhine River: The Magic is More Than Just Castles!